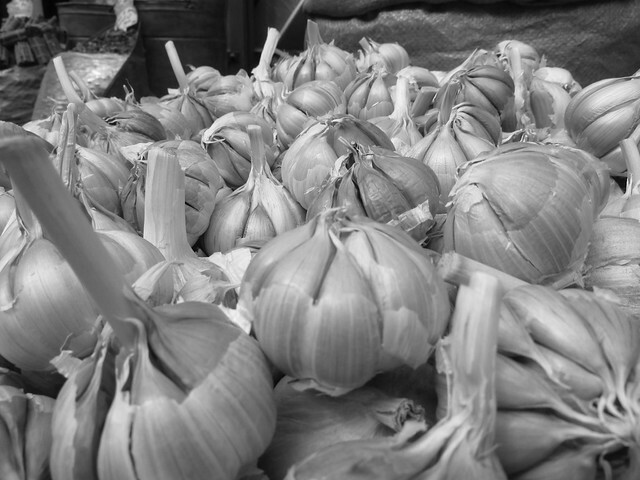 In line with Halloween this week, I feature garlic on black and white. Doesn't garlic ward off vampires? Or was it witches? I can't remember! Garlic is said to ward off vampires, but it also wonderful in sauces, stews, and salad dressings. Makes a tasty subject for your photo. I like garlic - so I'm probably not a vampire! It's a fine photo. nice shot, I love the edit. I spent many years in and on the Med, garlic is the food of life. Very nice shot! They look like mini pumpkins! Lovely capture!